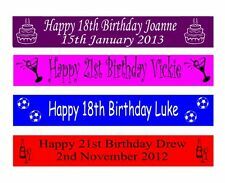 Fabric Banner/ Garland/ Bunting/ Shabby Chic. I love custom orders! Slight fraying should be expected with this item. 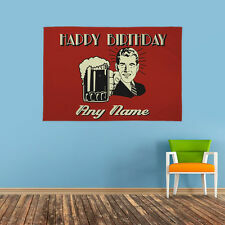 To make your banner easy to hang. I have left extra cord on each side to hang. 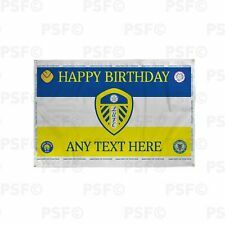 Fabric banner/garland/bunting. Fabric Banner/ Garland/ Bunting/ Shabby Chic. I love custom orders! Fabric Banner/ Garland/ Bunting/ Shabby Chic. Made with Nautical fabric, blue & white Stripe, red. navy blue anchor, and navy cotton material. Fabric Banner/ Garland/ Bunting/ Shabby Chic. Made with Betty Boop fabric, red, black & white polka dot and red & black polka dot cotton material. Perfect for your Betty Boop Party. I love custom orders! Condition : Used. Used once for a party. Size : 150x18. MPN Frankenstein. Model Frankenstein. Type Banner. Condition : Used. Used once for a party. Color Purple. 147-643-5-Masquerade Purple-Frankenstein.